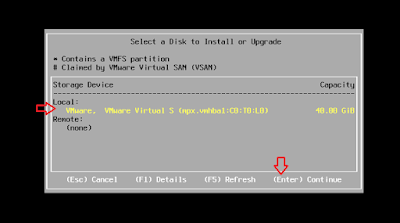 Descriptions: Its not a big deal for experienced VMware administrators to install or upgrade ESXi server with any of the installation/upgrade methods but for friends who have just begin learning VMware, they may need to have a look at steps and options available to perform ESXi installation. Yes, there are many ways of doing it, you can choose to do it with ISO if you have KVM supported on your hardware host, you can do it using VMware Update Manager, you can do it using CD/DVD drive attached with the physical hots etc.. 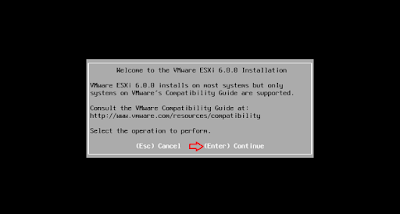 In my scenario, I am using my lab environment to show you what all are the steps are there to complete the ESXi installation. 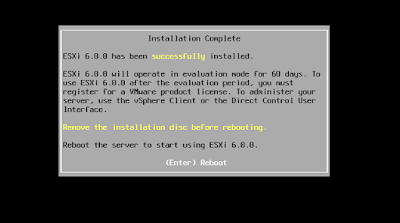 Boot your server with VMware ESXi 6.0 OS Disk or ISO image (in my case, I have VMware ESXi 6.0 Custom CISCO Installer) > Select the OS and hit Enter > Wait for the progress bar to be completed. 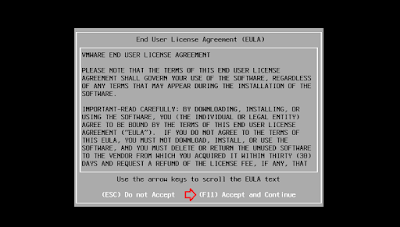 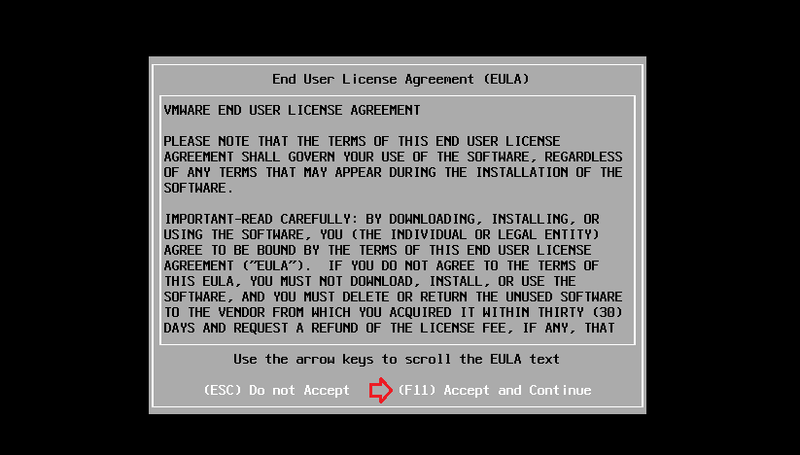 Upon successful ESXi host installation, you may receive below message. Hit Enter to reboot the server. 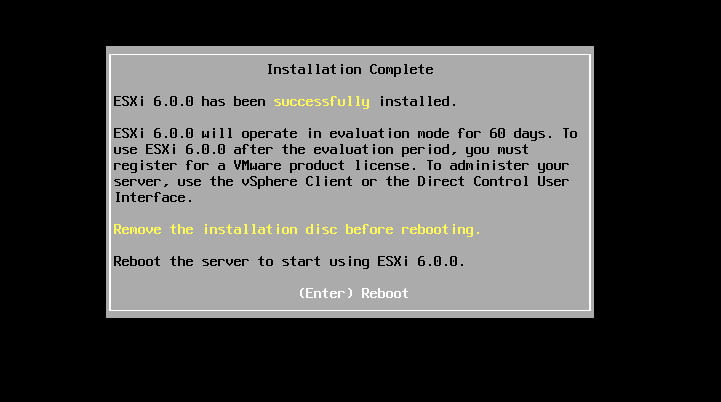 After the reboot completion, you should be getting ESXi 6.0 DCUI like below. 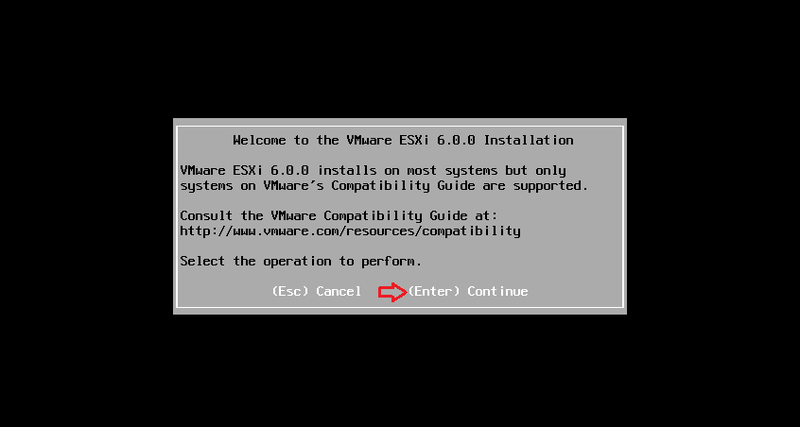 From this window onward, you can do the ESXi configuration you wish e.g. 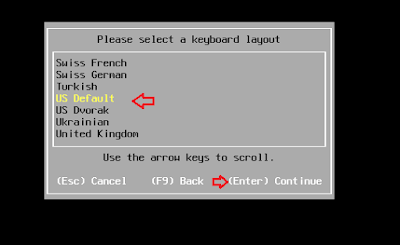 network, DNS etc configurations.